Talk to our team about what solar services can benefit you and promote even more energy savings. Just fill out our quote request form to get started. Fill out the form below and our team will reach out to you in 10-15 minutes during business hours. Our company is locally owned and operated here in Fresno, CA. Stop by either one of our offices for a quote. Which of these services can our team help you out with today? Have solar, need service?  Solar Maintenance Pros is here to assist existing solar customers with protecting their investment for the long-term. Access your energy data easily and affordably with Know TrueUp®, our in-house monitoring software. Request a free 30-day trial, or sign up for a monthly package. Are you already a customer, but have a question? Try our all-new chat feature for in-depth questions or fill out our inquiry form above to get a quick answer. We pride ourselves on our ability to provide our customers with the best service the Valley has to offer. Both in the office and in the field, Solar Maintenance Pros employees operate with honesty and integrity. Unlike a normal solar contractor, 100% of our staff is dedicated to serving the needs of customers after they've gone solar. We specialize in troubleshooting, monitoring and protecting your system for the long-term. If you're struggling with production issues, we understand that it is important you have a company to call to get the problem fixed quickly. Our technicians are certified and trained to identify even the most complicated system issues. Each team member is chosen carefully based on merit and experience in the field. We even have on-staff licensed solar installers and electricians to tackle even the most difficult jobs. Rest easy knowing you have a team of professionals to back you up if you need it.